Welcome to the College House Cup! Who will win this year? 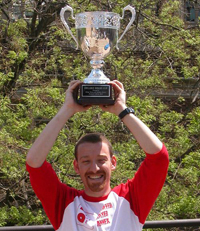 The College House Cup includes three different types of events for students in the Houses: College House Special Events, Intramural Sport Leagues, and PennRec One-Day Events. Students compete in events like quiz bowl, baking competitions, soccer, and volleyball to determine which House will take home the College House Cup at the end of the school year. The College House Cup encourages community and team development in the Houses; provides fun, healthy, and relaxing programming; and showcases House pride. CLICK HERE FOR PICTURES FROM THIS YEAR'S COLLEGE HOUSE CUP EVENTS! A team of women from Ware College House claimed the victory in Women's Volleyball at the Philadelphia City 6 Extramural Classic, the nation's only association of college recreation departments that offers undergraduate intramural teams from Penn, Temple, Drexel, Villanova, St. Joe's, and La Salle an opportunity to compete with each other for a city championship. 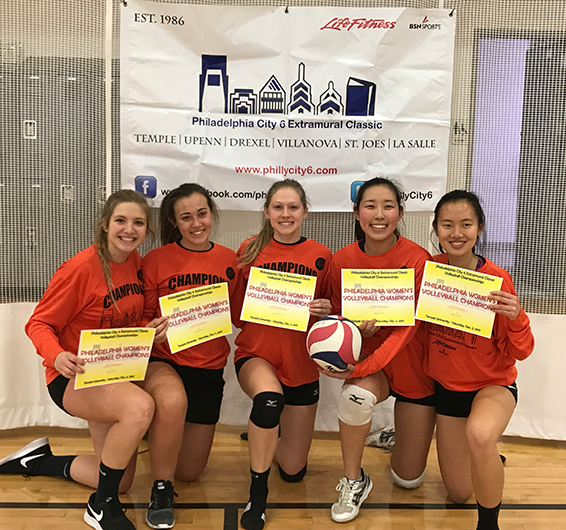 Playing as a team of five versus other teams comprised of six players, Emily Solomon, Stephanie Xie, Lisa Sato, Isabella Vura, and Haley Carbajal beat La Salle, Temple, and Drexel in succession to claim the first Women's City 6 title for Penn in 20 years. "We totally did not expect to win," says Emily. "We knew we were short a player and so we approached the day with a very carefree attitude. We were just grateful to spend a day playing the sport we love: volleyball." When they realized they'd be playing in the finals, they were excited to compete. "It was so cool to bring home the first place title and see the pride that Ware had in us winning the tournament. It was such a fun day!" "Participating in intramural sports was one of the best experiences I had at Penn. When I arrived at Penn in the fall of 2004, I became a Graduate Associate in Stouffer College House. I was looking for a niche and migrated towards intramural sports since I’d spent most of my life playing sports. But I soon found an opportunity to make an even greater impact since I noticed that intramural sports weren’t being used to build the College House community in the same way that they were when I was an undergrad at Harvard. So I spent the next 5 years of my time in graduate school working with some very dedicated individuals to create that experience at Penn.